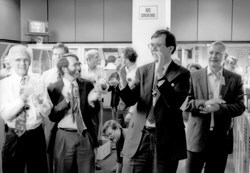 Six years after the 9 November 1991 shot that produced fusion energy for the first time in history, JET achieved a record of 16 MW that still holds to this day. 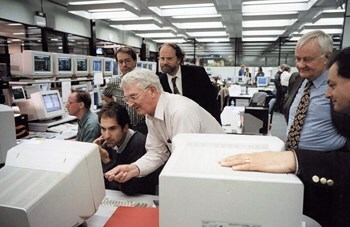 Pictured in this 1997 photograph are Martin Keilhacker (right), at the time JET director, and his his two deputies (center) Alan Gibson and Jean Jacquinot. Reproducing in a man-made machine the physical reactions that occur at the core of the Sun has been the aim of fusion research for the past 60 years. 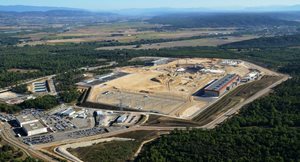 Building on the experience accumulated by hundreds of fusion machines throughout the world, ITER will demonstrate that a net production of energy from fusion reactions is now feasible. 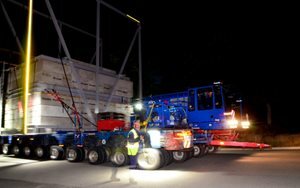 However, ITER will not be the first device to produce fusion power. Some twenty years ago, two large tokamaks—the Joint European Torus (JET) in Culham (UK) and the American Tokamak Fusion Test Reactor (TFTR) in Princeton, New Jersey (US)—achieved the objective physicists had pursued since the mid-1950s. They did it by investing more energy to "light the fire" than the fire gave in return, but they did it nonetheless. And the plasma shot that both machines produced was heard around the world—Man had, for a brief moment, captured the energy of the Sun and stars. 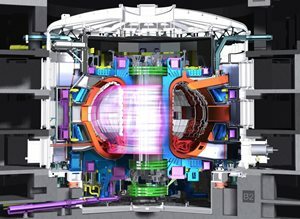 JET opened the way on 9 November 1991, generating between 1.5 and 2 MW of fusion power for about two seconds: "Today's experiment was the first occasion in which the correct fusion fuels, deuterium and tritium, have been used in any magnetic confinement experiment," read the press release. 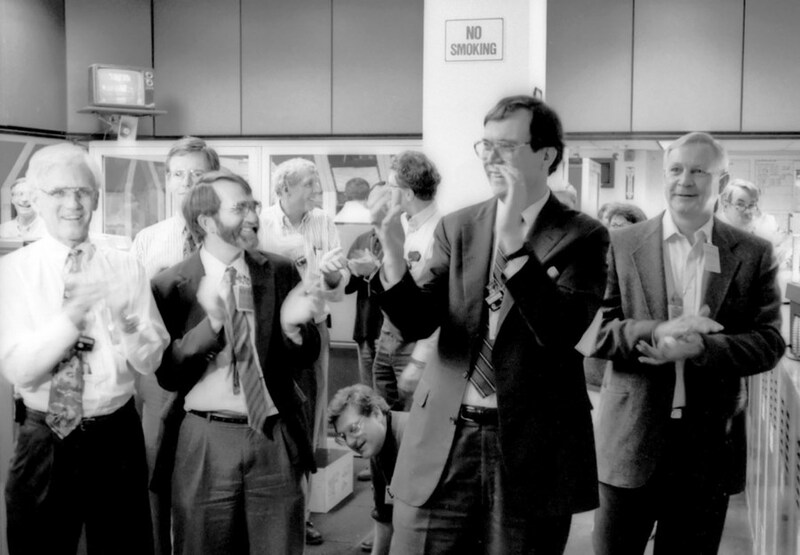 Rich Hawryluk, who was to head the ITER Administration Department from 2011 to 2013, is seen here in December 1993 at PPPL, celebrating TFTR's first deuterium-tritium shot. 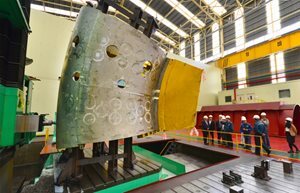 One year later the US machine was to pass a symbolic threshold with a production of 10 MW of fusion power. However in order to avoid an excess activation of the machine's components, JET operators had deliberately opted for a "lean" mixture of hydrogen isotopes: 90% deuterium and only 10% radioactive tritium. Two years elapsed before the optimum mix (an equal proportion of deuterium and tritium) was experimented in TFTR. On 6 December 1993, six-millionths of a gram of tritium fused with an equivalent mass of deuterium produced a burst of 3 MW watts of fusion energy—enough to light some 3,000 homes for a few seconds. A second shot, the same day, produced more than 6 MW of fusion energy. The 10 MW mark was passed the following year by TFTR and in 1997 JET achieved 16 MW—a record that still holds to this day. JET and TFTR had approached but not passed "breakeven," the magic threshold where the power generated by the fusion reaction is equal to the power invested. This input/output ratio, noted "Q", was 0.65 for the 1997 JET experiment. 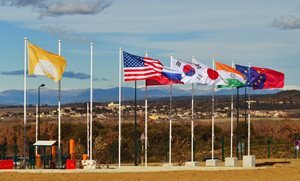 ITER aims for a "Q" equal or higher to 10—a 500 MW output for an input of 50 MW—that will open the way to industrial and commercial production of fusion-generated electricity.